Paddington Japajapa yesterday said he is fearing for his life after some armed men reportedly visited his parents’ home looking for him following his damning testimony before the Commission of Inquiry into the August 1 shootings. “My family was harassed by unknown people who visited during the night looking for me. “The 10 men were armed with pistols and one of them was putting on a police uniform, while the others were in plain clothes. 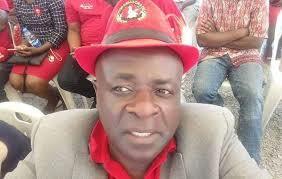 I called commissioner general of police Godwin Matanga, who advised me to make a police report,” Japajapa said. “I am not going to leave the country. I am not afraid and will continue participating in politics,” he said.